If you've failed to heed the warnings of Samsung and government regulators, it looks like you can now charge those recalled Note 7 batteries to 80 percent. The phones were recalled globally earlier this month following reports of exploding batteries, but the company issued an update that limited charges on the phone to 60 percent to avoid potential issues. That update only rolled out in Korea and didn't make it to the US. 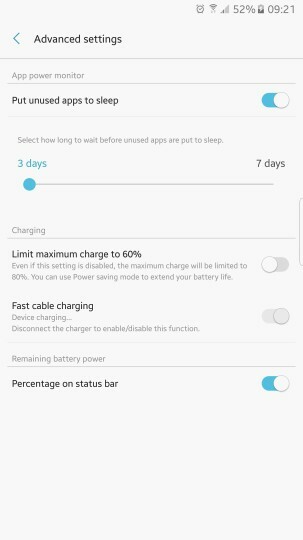 SamMobile reports that if you choose to toggle off the battery-limiting feature, you can charge the faulty phones to 80 percent. Samsung has confirmed to Engadget that like the previous update, this one won't be available in the US, so you should just go ahead and swap yours for a new one. The Consumer Product Safety Commission urged customers in the US to stop using the devices and return them immediately. Samsung has already shipped more than 500,000 replacement handsets to the US and said earlier this week than a quarter of gadgets sold in the country had already been returned. Seriously, just go ahead and return yours if you haven't already. After you do, you'll notice that the battery level indicator is green instead of white. That's how you'll know your device is safe to use. Update: Samsung confirmed that this update won't be available to customers in the US either. This post has been updated to reflect that information.